Or: what a difference good lettering makes. The web is having fits this week because a designer named Craig Royznski decided to make an updated version of Comic Sans called Comic Neue. At this point, hating Comic Sans has become as tiresome as using Comic Sans. I think the new version is an improvement, but even though he has made it available for free, it won't solve the main problem with comic sans- namely, all the less-than-tech-savvy people who see it in a drop down menu in whichever office program came with their computer and pick it simply because it's there. 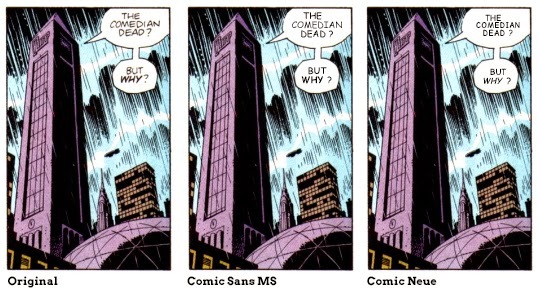 Anyway, it got me thinking about the original Comic Sans, which was based (rather loosely) on the lettering in the Dark Knight Returns and Watchmen. 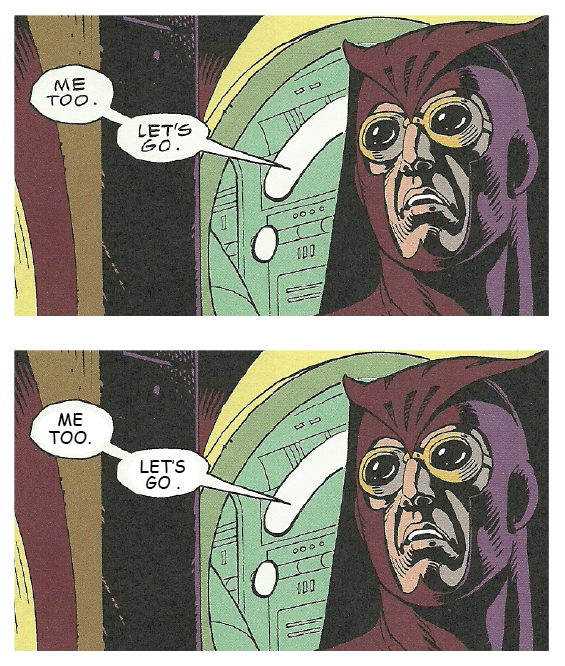 Curious, I decided to swap the lettering in a random panel from Watchmen, and see how both comic sans, and its newly made-over counterpart stood up to the original. The difference between the original lettering and comic sans turned out to be more subtle than I expected. Printed small, the cutesy irregularities that make comic sans so bothersome at poster size become less noticeable. Still, you can see how much more tense and lively the original lettering is. 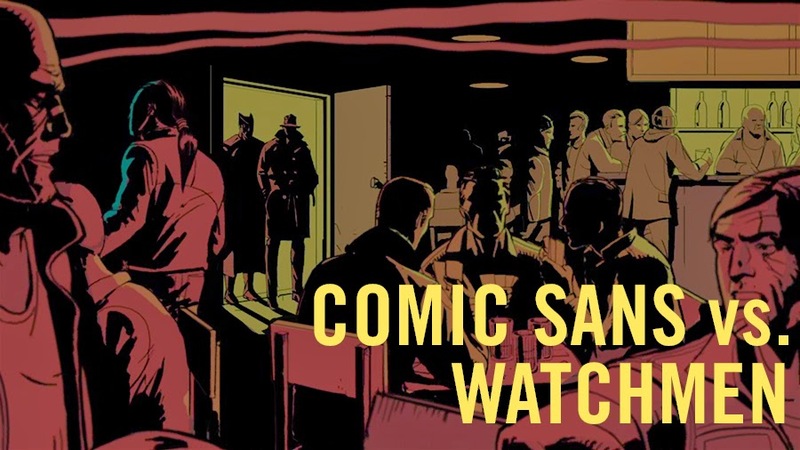 Even though Comic Neue looks much cleaner as a font for fliers and documents, it looks completely lifeless on a comics page. Re-designing comic sans was a PR coup for Mr. Royznski, but it has even less to do with actual comic lettering than the original. The original lettering has a more distinct slant, which gives it movement that the packaged font lacks. When you layer them on top of each other, you can see just how subtle the difference is. But those tiny descrepancies in shape are the difference between lettering that feels like a natural part of the story, and lettering that feels like subtitles, pasted on as an afterthought. 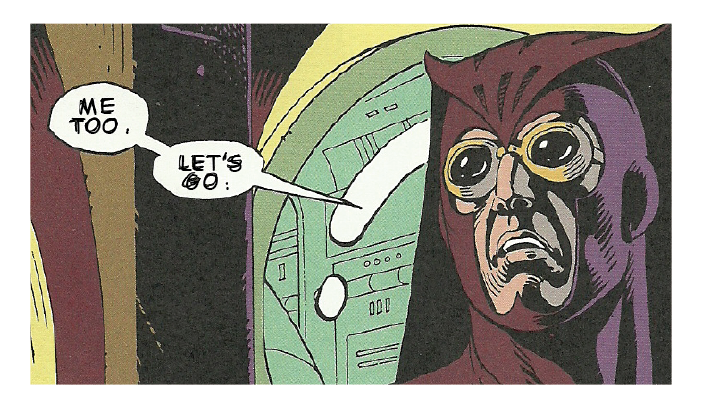 So download Comic Neue for your Grandmother, buy your lettering fonts at Blambot, and go read this amazing interview with Dave Gibbons. Well we are participating in a competition where we have to create a blog http://atacaenossabrasil.blogspot.com.br/, need the help of people who view page and can help by clicking "join this site" I will be grateful to you ! Comic Neue reminds me of the more mechanical-looking lettering from like the 40s & 50s -- might work OK if going for a certain retro look.